Hey!! Thanks for stopping by! This tour is brought to you by: Full Moon Bites Blog Tours. 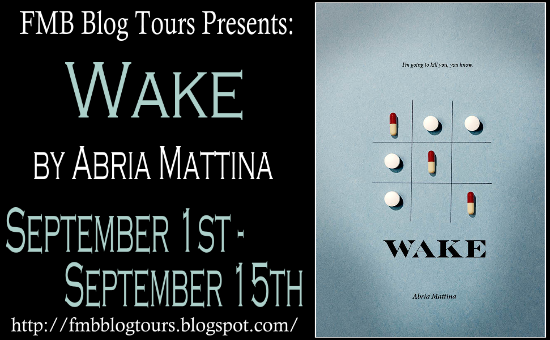 Don't forget to fill in the rafflecopter below for your chance to win: An eBook copy of Wake by Abria Mattina. Having gone through such trials and tribulations at such a young age is tough stuff. Jem Harper is in remission from cancer and his only friend in this new town is his little sister Elise. That is, until Willa Kirk walks into his life and turns his world upside down. Both coming to terms with who they are and living life as best as they could, both Willa and Jem find themselves in the mist of teenage problems as well as life's problems weighing on their teenage shoulders. Wow. Where to start? 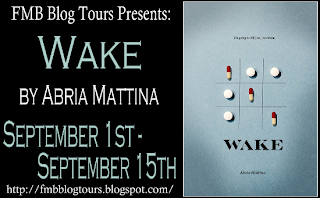 Wake is an amazing book that captures you from the beginning and keeps you turning the page until you realized that you actually read all 759 pages! Wake is pretty lengthy but well worth the read, it captures the environment, emotions, hell, life in general when it comes to cancer patients and the families and friends of those with cancer. From teenage perspectives no less! I felt that Abria Mattina definitely captured these emotions perfectly, pulling you along with Jem Harpers story as well as Willa Kirks. Willa has lost her sister to cancer and her family's dynamic is totally different from that of Jems' loving and very supportive family. Willa's family seems to have taken a real beating when her sister passed away from cancer and has turned their world upside down, which leaves Willa in a state of guilt... I'll stop there, cause I don't want to give any spoilers, but cancer has pretty much torn this family apart whereas Jems family, cancer has made them stronger and brought them closer together. I liked that this book was fairly easy to read, regardless of the intimidating length. Although, a small chunk could have been tossed out and the book still would have been great. I also liked that this book was in different POV's. We get to see different angels from this story, from Jems perspective as a cancer patient to Willa who has been through this whole cancer ordeal with her sister and then going through it again with Jem. I also liked that Jems character is struggling with who he was before cancer and now that he's in remission, how he wants to be who he was and be able to hang out and party and having a good time with his friends like he used to do, instead of worrying about the consequences on his body the following morning. 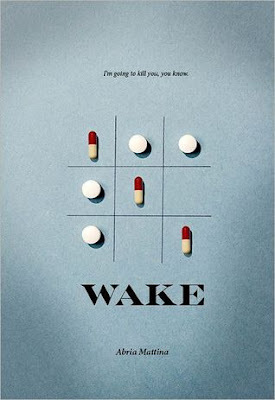 I loved all the characters in this book, I feel they were all important in portraying different emotions and reactions to cancer, which played out really well as I continued to read. Jems friends wanting him to be who he was before and are either ignoring the fact that he did have cancer and is still recovering, to his parents and siblings who are worried sick but both are struggling with it in their own ways. What I didn't like about this book... gah, nothing? I absolutely loved this book. But again, the length did set me back a bit. I would definitely recommend this book. It touches on, pretty much every perspective when it comes to cancer. All the trials and tribulations that comes with it. It's a tough road and this book was a bit tough at times to read, but I think it's definitely worth it. Abria Mattina works as Production Manager for the Ottawa Arts Review, an eclectic literary journal. Her work has appeared in Ottawa’s The Fulcrum and Canculture Magazine. Her poem “Circus” was published in volume 5.2 of the Ottawa Arts Review. Abria holds a Certificate in Publishing from the New York University Summer Publishing Institute and a degree in English Literature and Psychology from the University of Ottawa. When she isn’t writing she enjoys travelling, eclectic books, blogging, and baking. She lives with her fiance, Daniel. 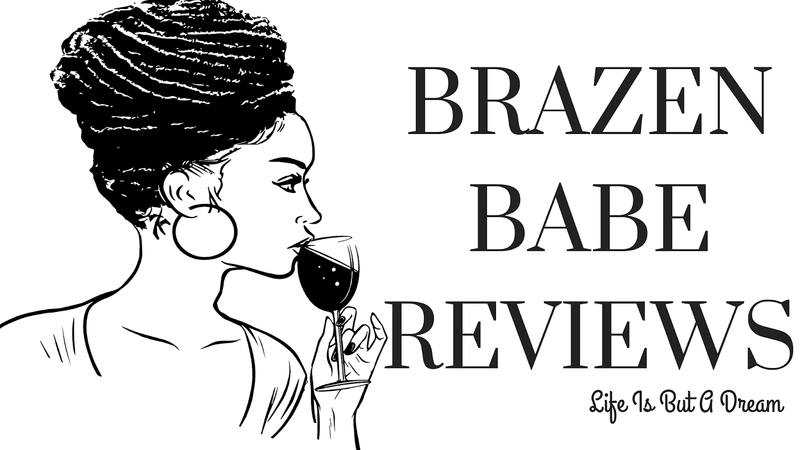 love the review Ana...759 pages though? whoa! ;) but if its worth the read, I would try it. 760 pgs Ana?? you.... lieeed to me??? said it was only 700 -_______- lOL kidding :p but still damn, idk where the hell you found the time to read this book >.< Definitely seems intersting though and i want to check it out, except i think that for me, a paperback copy would be better, so here i go saving for this book xD lol great review hon!